It’s National Zoo Keeper Week and we’re sharing the love! To recognize the dedication and hard work of our amazing zookeepers, we are posting an interview of a keeper each day this week- and this year there’s video! This keeper is proud to highlight the special relationships that she builds with the animals in her care. A: “From a young age I knew that I wanted to work in a profession that involved animals. 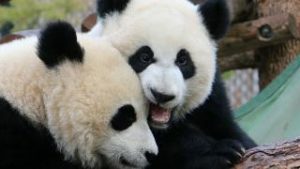 As I was completing my degree in Environmental and Conservation Sciences at the University of Alberta, a graduate student told me about the opportunity to work for the zoo. She noted that it was not often that they posted jobs for zookeepers and she thought it would be a great fit for me. I applied in the hopes that it would be a fun job and great experience. 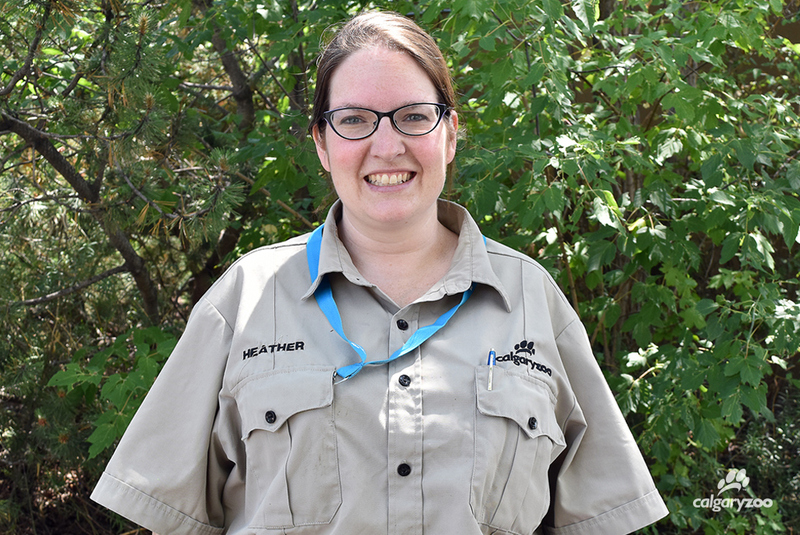 Meet Heather Elliot, one of the featured keepers during National Zoo Keeper Week 2016. A: “Many individuals over the years have been favourites. After the flood in 2013, my favourite individual became a white-handed gibbon named Tunku. I had always loved Tunku; he would dance with me in the kitchen and come say goodnight at the end of my shift every day. However, during the flood he chose to rely on me and it really touched me. A: “During the day of the flood we had to move many animals. I was involved in moving species out of the South America building, as well as the Japanese macaques in Eurasia. The zookeepers knew time was our most precious commodity, so we needed to move as quickly as possible. We had to decide what was the safest, least stressful and quickest route to move animals out. For many of the primates that can be a difficult task, as they are very intelligent and understand what crates mean. By the time we moved to the primate side of the building many of them had watched people and crates of animals go by. On the “large primate” side of the building we had worked with individuals through training to shift them- we train in a way where they have the ability to choose to co-operate with us. We had a network of tunnels in the back that connected to detachable crate systems that allowed us to move animals into a crate by their own choice. This process can often still be scary for them as they don’t know why they are going into a crate, or where they are going. 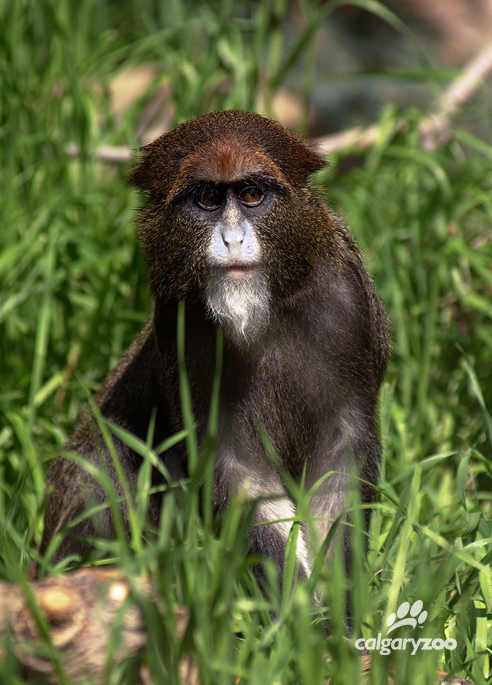 The Calgary Zoo’s old South America building used to be home to a host of small primates, like this De Brazza’s monkey. The night of the flood a colleague and I had a discussion about a De Brazza’s monkey that was often nervous and slow to move. We were discussing whether to let her up to the crate or try to find a faster way to move her. My colleague and I agreed that we did not think she would come, but I remember saying “we haven’t given her a chance”. We decided to clear the building and give me five minutes to try. Putting on my calmest voice and demeanor I opened the slide and called “Doc come on in, I have some dinner for you.” To my surprise she ran up, peaked in the door, looked around to make sure it was just me, and ran right into the tunnel I needed.